Hello everyone! You know, it's true what they say—time flies! I can't believe I've already been in Japan for 10 months. So far, I think the overall highlight has been getting to know all of my students here at SES. Specifically in regards to travel though, I would have to say my time in Kyoto has been my favorite experience. I went in August over the Obon holiday, so it was very hot and humid; even so, I still had a wonderful time! 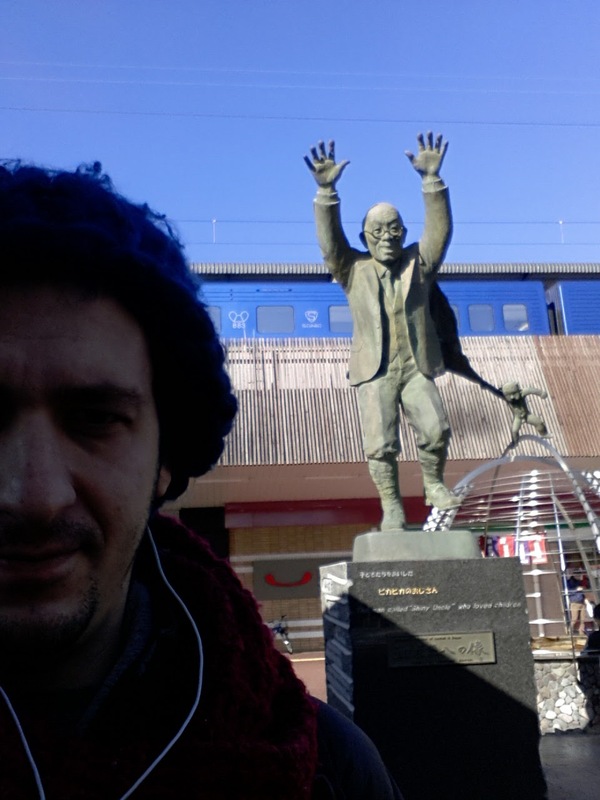 First, I went straight to Kobe and visited two very dear friends of mine from my days as a university student. They are a married couple and have lived in Japan now for five years. I had a great time catching up with them and reminiscing old times. After a few days in Kobe and Osaka, I was off to Kyoto! Of course, I wanted to visit the Fushimi Inari Taisha Shrine! However, as we all know, this shrine is very popular and is often very crowded with tourists. So, I set my alarm to 4:00 AM in my capsule hotel bunk, which was probably much to the chagrin of others sleeping around me. Admittedly, I may have hit the snooze button a few times before groggily crawling out of my bunk. Nevertheless, I arrived around 5:30 AM. If you enjoy photography, you may know that dawn and dusk provide the perfect lighting for pictures! There were only a few other tourists around and I was able to capture all of the images I wanted without anyone getting in the way of my shot! Fushimi Inari Taishi at 5:30 AM with no tourists! I even made a new friend with a fellow solo traveler while I was there! She was from China and her name was Chen Yang. We lazily walked through all of the torii and traversed Mt. Inari in its entirety together. 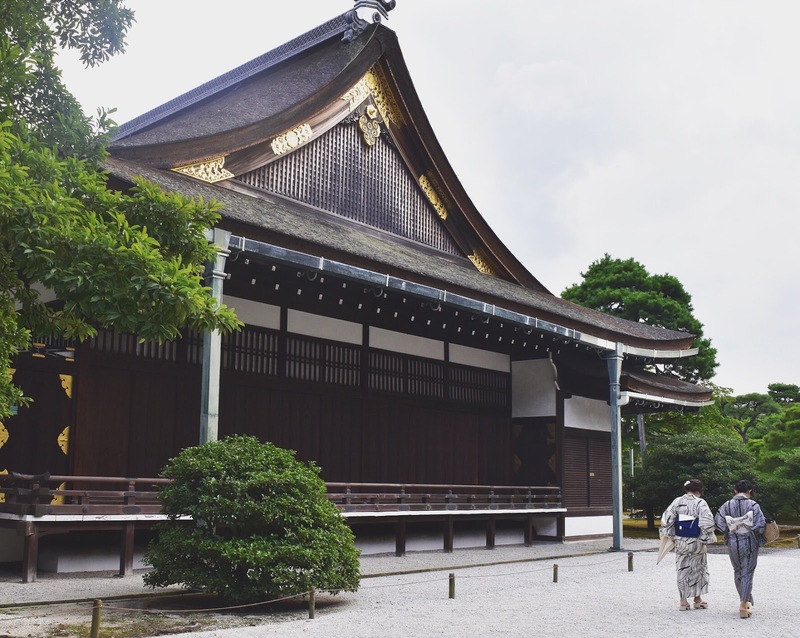 Overall, I loved how the historical essence could still be felt in Kyoto alongside the modernity of a 21st century city. Most of all, I loved seeing the Japanese couples in their traditional yukatas walking hand-in-hand together around the city—kawaii! During Christmas break I visited some family overseas. I was born and raised in America, but most of my family is British, and many of them still live in England. I stayed with my grandparents in Liverpool, England. While I was there I visited some traditional English pubs with my friends. My father and I took a day-trip to Wales, which is a small country to the west of England. We hiked some mountains and ate traditional Welsh food. I learned how to speak a little Welsh a few years ago, so it was fun to use the language again. All of the street-signs are in Welsh and English, so it was good practice for me. I flew back to Japan on New Year’s day, and it was a long and difficult flight. I do not enjoy flying, but I do enjoy watching movies for 13 hours. I'm glad to be back in Japan! This winter vacation was very relaxing. I spent most of my time at home. At home I would watch movies and cook O-Nabe. On January 2nd I went to Oita-ken, Beppu City to enjoy the hot spring. It was very relaxing. 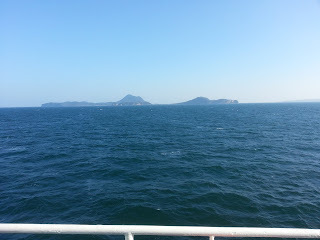 I took the ferry from Tokuyama station and saw many mountains along the way. The hot spring was very nice, but there were many tourists there. 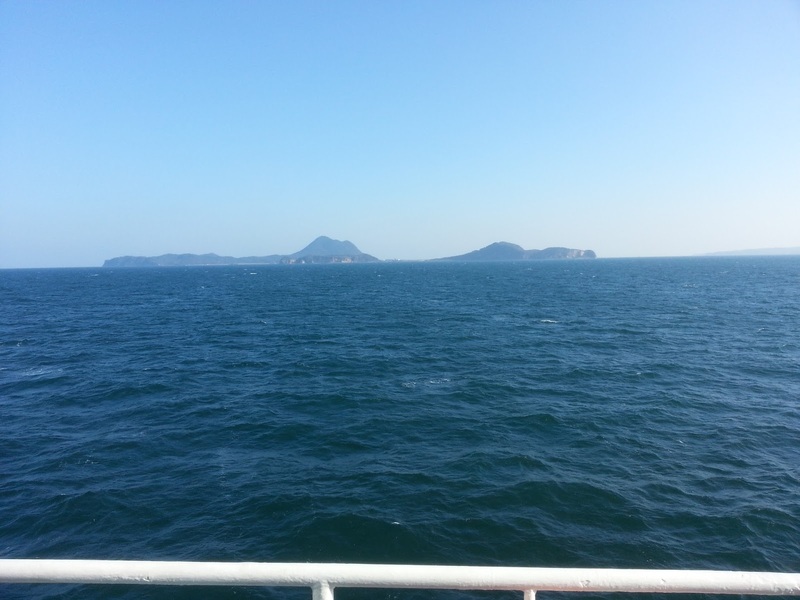 Even though it was a boring vacation, I was able to rest and relax, so it was very enjoyable for me. Next year I plan to go on a bigger vacation, hopefully I can go to Hokkaido. Jasmin here! I spent my holidays on many planes traveling around the world to see family and friends! First stop was Dallas to visit my father's side of the family. He has five brothers and sisters who are all married and have children. When we are together there are more than 25 of us! 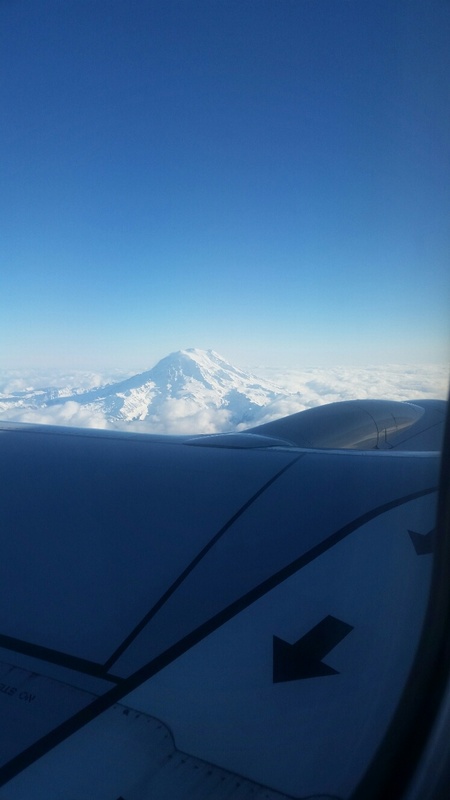 I flew into Seattle and was able to see the beautiful Mt. Rainier from the plane's window. Next, it was off to Istanbul. 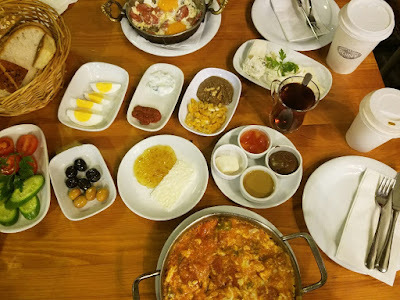 I lived in Istanbul for almost one year after graduating university. 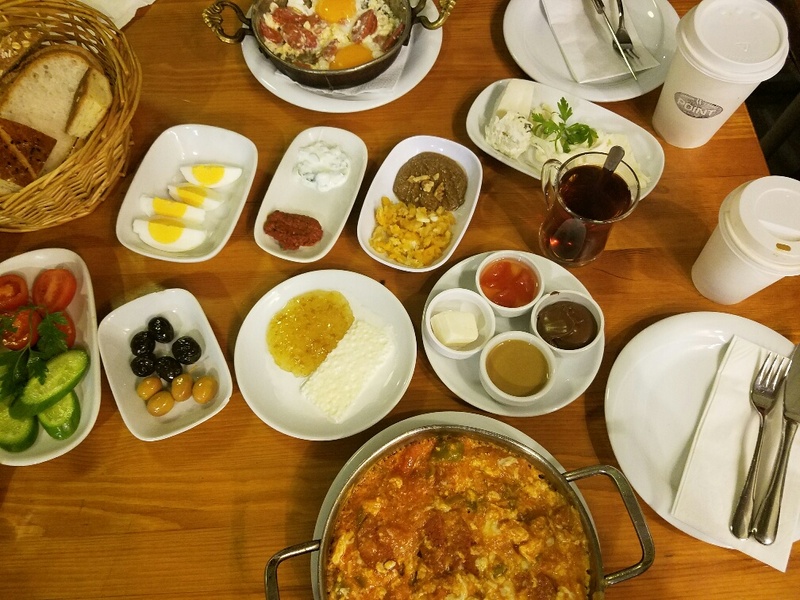 I enjoyed one of my favorite meals: a traditional Turkish breakfast. It includes eggs, sausage, fresh clotted cream, honey, fresh bread, and many cups of strong tea. I also visited some famous Turkish bazaars. Did you do any traveling to ring in the new Year? I hope you all enjoyed your winter holidays! My winter vacation was a lot of fun. I spent six days in Tokyo with some of my friends. We had a very good time sightseeing in different parts of Tokyo. Especially fun was going to Odaiba. 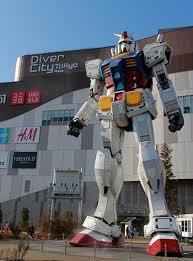 We rode the Ferris wheel, did some shopping, and saw the Gundam statue. 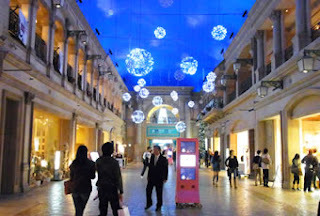 I really enjoyed the Venus Fort mall. The ceiling makes it look like you are outside! It was very interesting. After that, I spent a few days in Kobe. 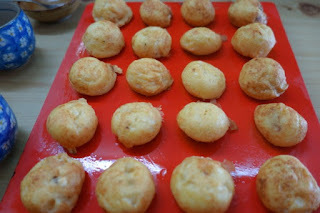 I tried Akashiyaki for the first time. It was very delicious! 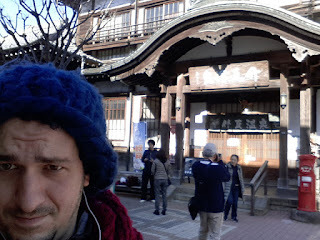 I also visited a local shrine for New Year and made a prayer for my future hopes.